How to remove the spark plug boots from a 2002 GM Chevrolet Camaro V6 engine without losing all your knuckle skin. Our 2002 Camaro has now done 99,000 miles, so with a trip “out East” coming up I figured it was time to change the spark plugs since they’re supposed to be changed at 100,000 miles. Of course nothing is as easy as it used to be, and the spark plugs are buried “way down there” on the sides of the V6 engine, half back under the windscreen on the car, with the spark plug boots sticking out through the exhaust manifold enough to see them, but barely enough to grip them. I did manage to pull one off “by hand” with the loss of only a small amount of skin, but couldn’t even move the other 5. So off to AutoZone (I had to buy the new plugs anyhow) to ask if they had a tool to pull these things off with. The only tool they had would have require removing the engine to be able to use it, at which time it wouldn’t be needed anyhow. So, with some Kiwi Ingenuity™ I devised the Kiwi Spark Plug Boot Puller, which worked amazingly well, and allowed me to pull the remaining 5 spark plug boots off in about 5 minutes. A shoe lace wrapped around the metal shield that is over the rubber spark plug boot, ready to pull it off. 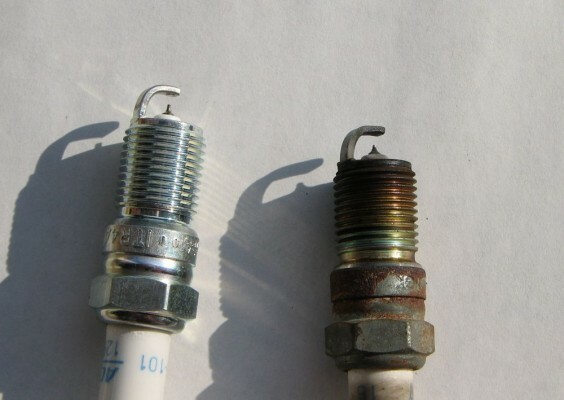 The metal tube around the spark plug boots has a groove in it as can be seen on the #4 cylinder at the very bottom of the image above. It is enough to hold a shoelace that is doubled and tightened in a loop around the tube into the groove. I thought for the photos a white shoe lace might show up better, but as it turns out they're both pretty visible. 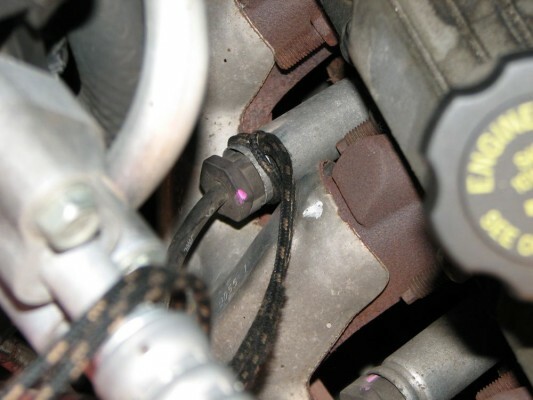 In the very close quarters down by the engine, the shoe lace allows to pull directly out, while wiggling up and down a bit to break the seal between the spark plug boot and the spark plug. 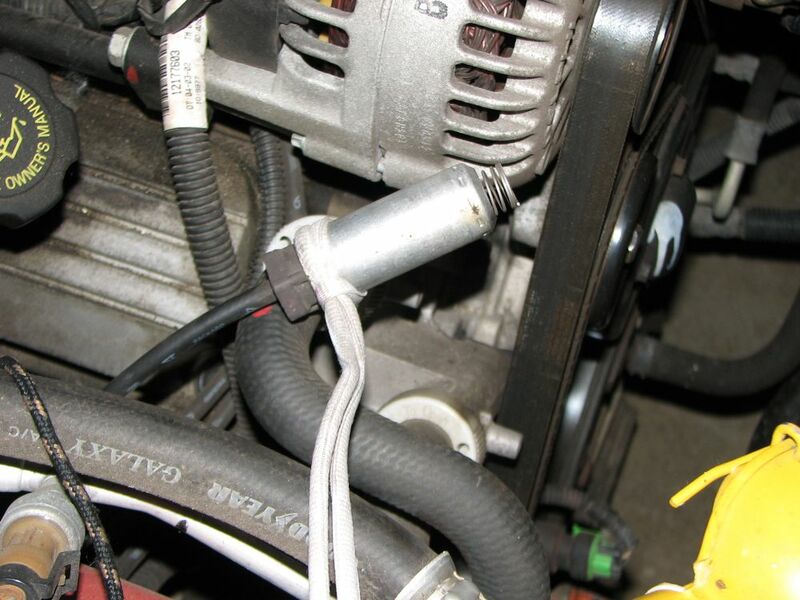 With the shoelace tightened in the groove, now you can pull directly outwards on the tube and spark plug boot, with zero strain on the actual spark plug wire. 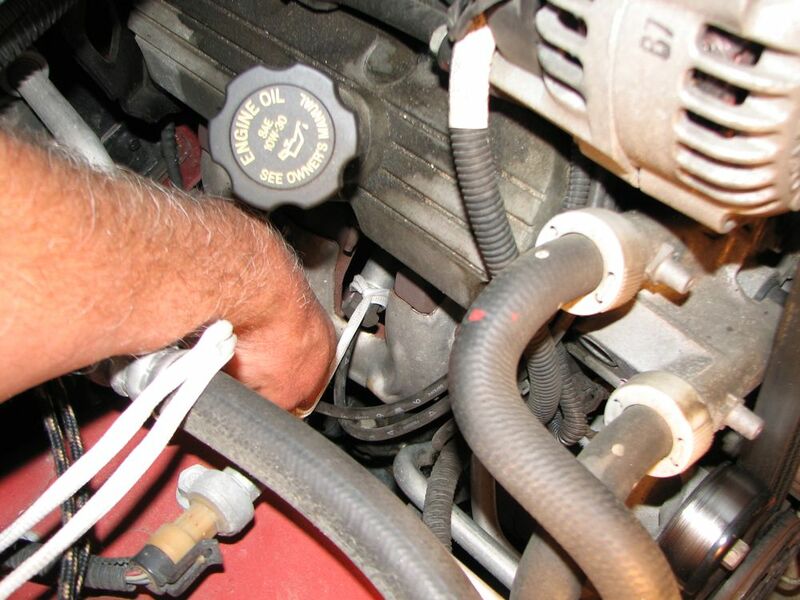 Slight wiggling up and down while pulling outwards helps to break the bond between the spark plug and the spark plug boot, allowing it to “pop” off. The spark plug boot removed. The shoelace is firmly wrapped in a groove around the top of the metal tube. Roger, you are a godsend. One boot was too close to the steering shaft to get my hand on and would not budge. Used a piece of old clothes line in lieu of a shoe lace. Popped off immediately. Thanks for posting and making this project a success. Roger, outstanding idea! Thanks! I was wrestling with those boots, managed to get two off by hand in about an hour. Your idea took me a couple of minutes for each with far less effort. 2005 GrandPrix with GM 3800. Was ready to give in and pay someone to change spark plugs for me which would have been a severe blow to my pride. Google to the rescue. 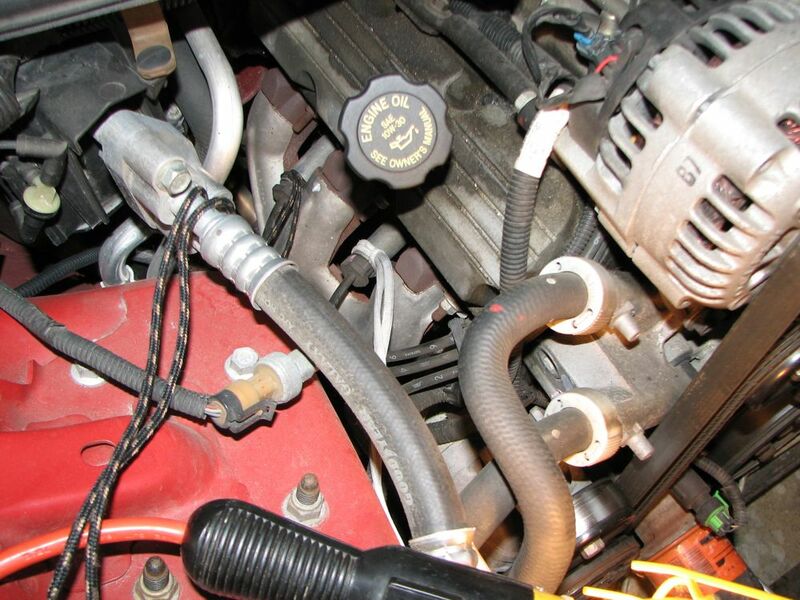 Looking at images of spark plug boot removal tools and I see a shoe string “really”. Had to look and damn glad I did. Worked like a champ. As someone earlier stated, pure Genius. Thank you so much for sharing your idea. It sure worked for me! This post is very helpful.. But I would need more idea how place it back in… Or just need to push it in..it might be stupid question but this is my first time that I deal with this issue in my 2010 camaro on the sparkplug number2…I would appreciate if u could help me in this issue…actually this sparkplug number2 was loosen from the hole then the TC all turn off also the engine sign turn on and flashing..then I just check on the engine then I found that sparkplug number are loosing so I push in back in tightly by hand.. After push in all TC is work properly and all back to normal but only one thing left is the engine light which was flashing then now turn on and steady….please give me some advice if u could..thanks in advance.. I think you need to contact a dealer about this – with a 2010 Camaro it would still be under warranty I think. Nothing short of genius! Thanks, Roger. You should sell these to Autozone for $2.50 a string. Well worth the money. I will now keep an old shoe lace in my tool box in the garage. Thanks for this post. Had a devil of a time accessing the rear boots & plugs on my Caravan. Your shoelace idea gave me a fighting chance at yanking to little buggers out (actually I used a long bundle-tie). Good job.